Beta feature for power users. Not everyone wants notifications on their website. 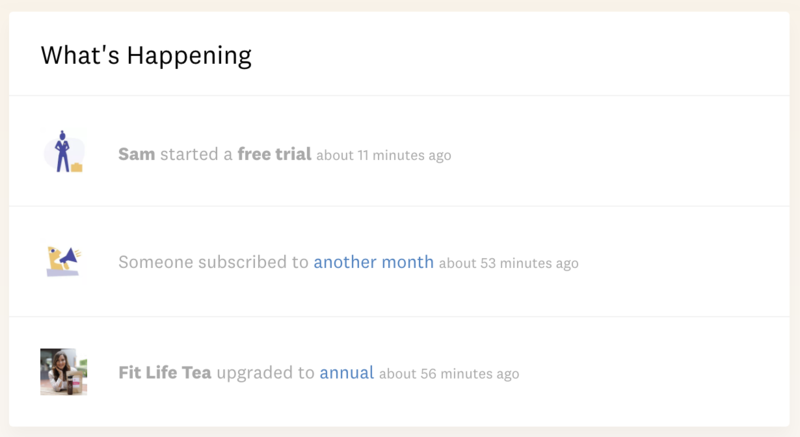 For these customers we built Feed, an ad network, and now, an embeddable portal. To try Fomo Portal on your website, either in addition to or instead of your existing notifications, follow along below. Retrieve your regular embed snippet by visiting Settings > Site > scroll down > click "Embed." Copy to your clipboard the text between /api/v1/ and /load, which in this example is asdfpUyuj8sukckFW66iCg . This is your website's client ID, and it is safe to publish on the web. Reload the web page on which you pasted the iFrame snippet; you'll now see an embedded portal. If you don't, scroll down to Troubleshooting at the bottom. If you followed the guide above, no additional steps are required, however granular controls are available. For example, you may want to remove clickable links or images, or hide the default drop shadow effect. Disable images by passing images="false" inside your iFrame snippet. Don't want to show 10, 20, 30 lines of recent activity? By default, Fomo Portal will load the # of events you specify inside Settings > Limits > Max notifications. By default, Fomo events with links will remain clickable. Disable links by passing links="false" inside your iFrame snippet. By default, the portal title is "What's Happening," but you may replace or remove it. By default, the portal <div> has a light grey dropshadow around the edges. You may prefer to remove it. This feature is currently in BETA, so it might break. To report bugs or ask questions, email ryan@fomo.com. This yields our own company's recent activity, without a drop shadow and limited to just 3 items. Modify parameters to achieve the experience you want, then pass along the completed <iframe>..</iframe> snippet to your developer.